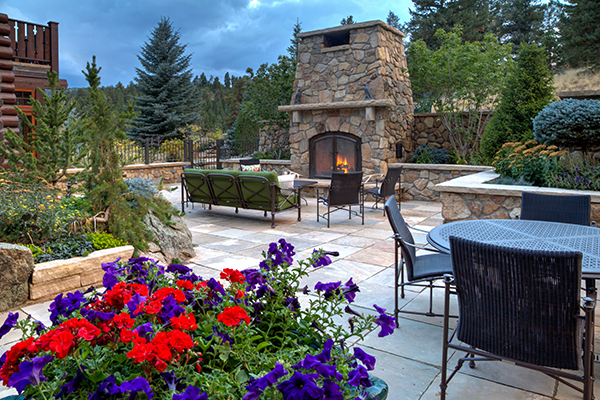 Company: Designs by Sundown, Littleton, Colo. 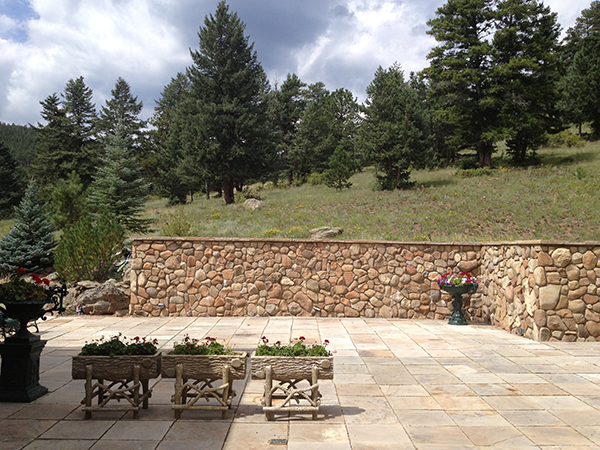 The initial plan for this historic ranch, secluded in the Colorado Rockies, consisted of softening an existing outdoor patio to create definition and more usable outdoor rooms. 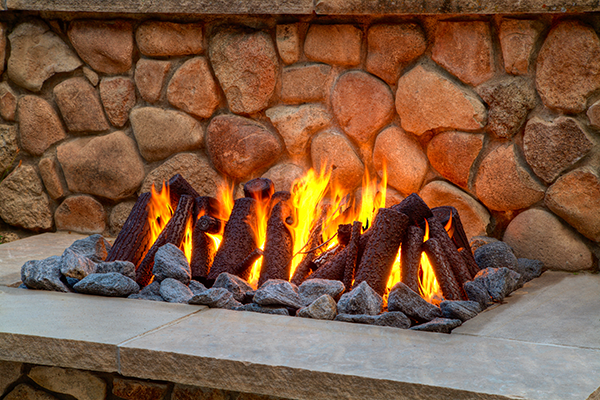 But the finished installation also conceals all-new technology—from lighting to irrigation, including the safety features on the fire elements. Dimmable, zoneable LED lighting fixtures run on a smart transformer that ties into the overall smart system of the house. A newly installed water flow sensor monitors water usage from the existing well. 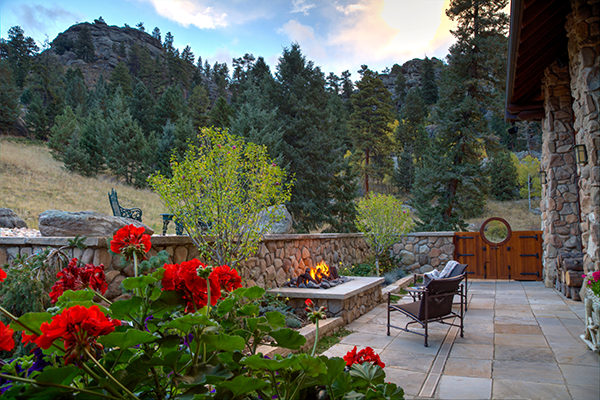 Designs by Sundown customized the electronic ignition starter to incorporate an automatic gas shutoff, allowing the propane to ignite the wood-burning fireplace. The safety feature automatically turns off after a few minutes to conserve propane use. 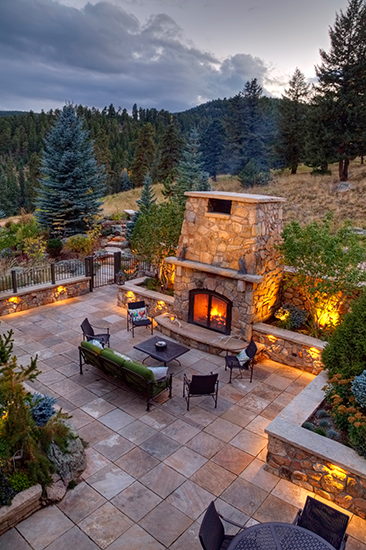 The project earned Designs by Sundown a 2016 Grand Award from the National Association of Landscape Professionals’ Awards of Excellence program. 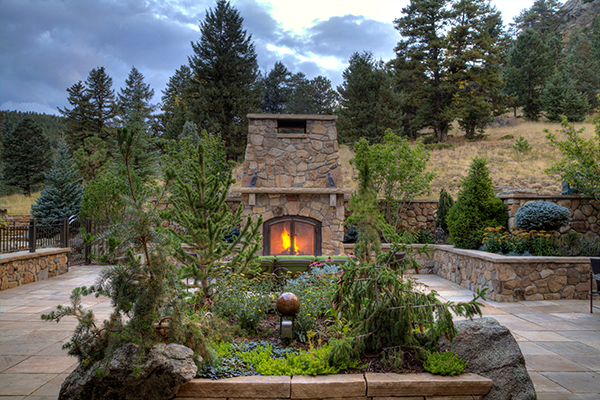 A custom stone fireplace anchors the landscape, boasting a garden of specialty conifers and perennials, at an altitude above 9,000 ft. 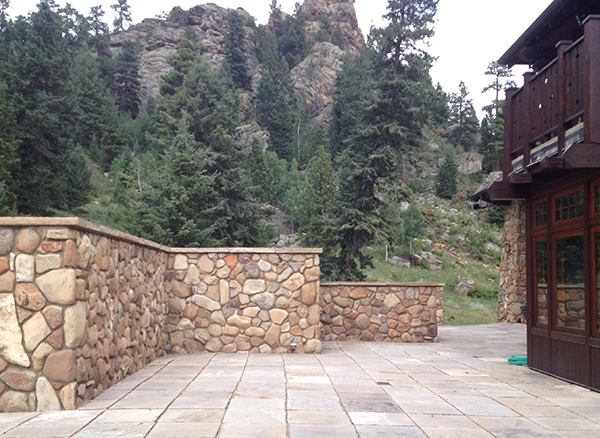 This “before” picture shows how the outdoor room lacked defined usable spaces. Re-laying the flagstone patio resolved drainage issues with newly installed channel drains. 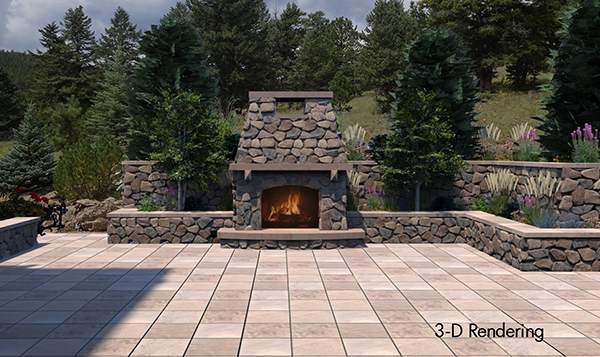 3D renderings were essential in determining the scale and proportion of the fireplace. 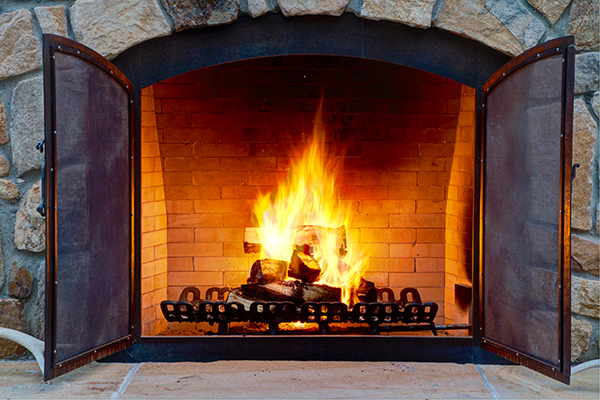 A buried 500-gallon propane tank was implemented in combination with an electronic ignition starter and safety gas shutoff to make starting the wood-burning fireplace easy. 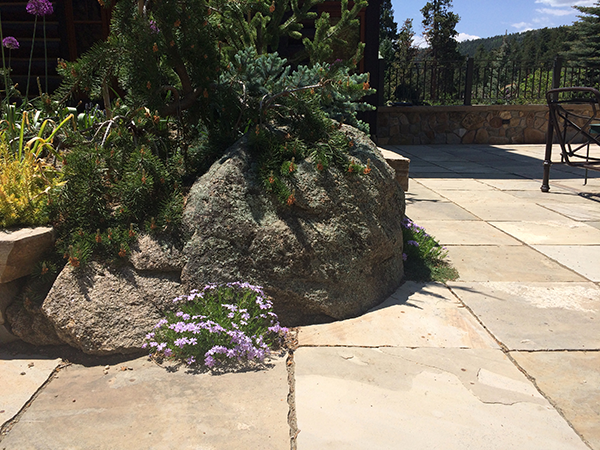 Although not seen in the photo, a wide firebreak of local rock mulch, located just above the fire pit space for safety, incorporates reclaimed boulders. 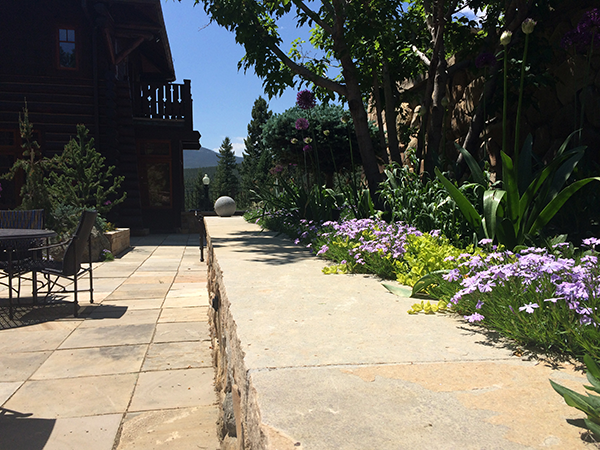 Cascading perennials and early spring flowering bulbs soften the locally sourced buff flagstone. 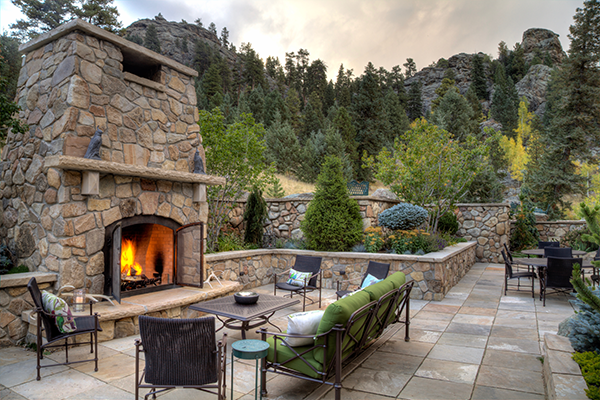 The outdoor stone fireplace mimics the fireplace inside the home’s great room. Custom carved stone corbels below the mantel were added to echo the home’s log architecture. A lighting transformer allows the fixtures to be controlled by smartphone. Various lighting programs can be used. Sustainability was a priority, and achieved through the use of reclaimed moss rock boulders from on-site and locally sourced materials. The custom bronze screen on the fireplace matches the fireplace screen in the home’s great room. The handles were even forged with the same scroll details. The stone veneer on the walls and fireplace was brought in from the same nearby quarry used on the house almost 20 years prior. In this “before” picture, the clients seldom used the patio space for entertaining, thanks to poor drainage and usability issues. 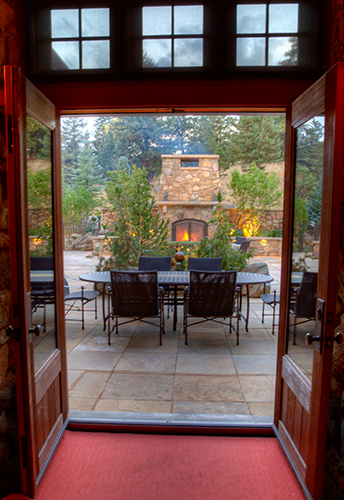 A custom stone fire pit was installed, which runs off a subsurface propane tank for everyday use. 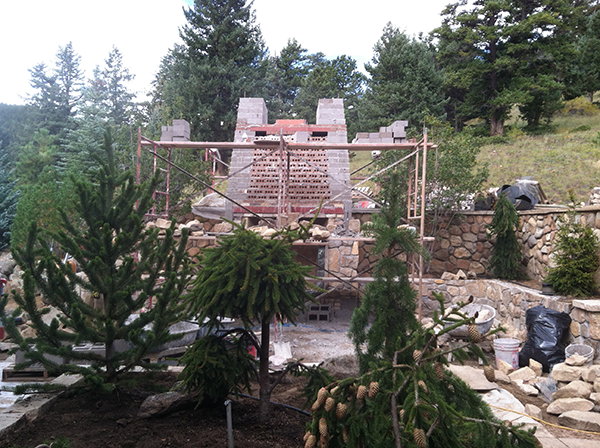 Note the raised stripstone planters and a custom moongate. This custom steel log set was fabricated from scratch. The textures of the logs and pinecones were influenced by nearby trees on the property. 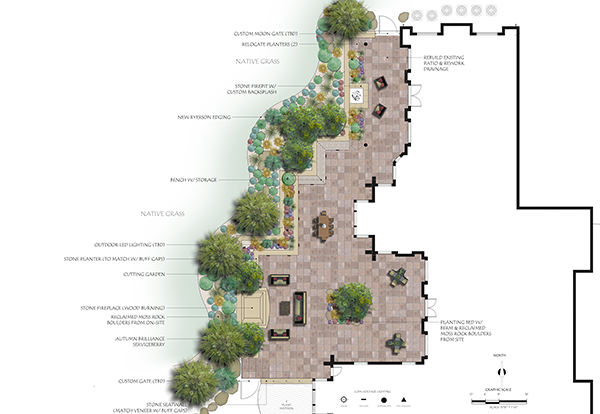 The conceptual design reveals how the large existing patio was defined into more user-friendly spaces, with several native plantings.